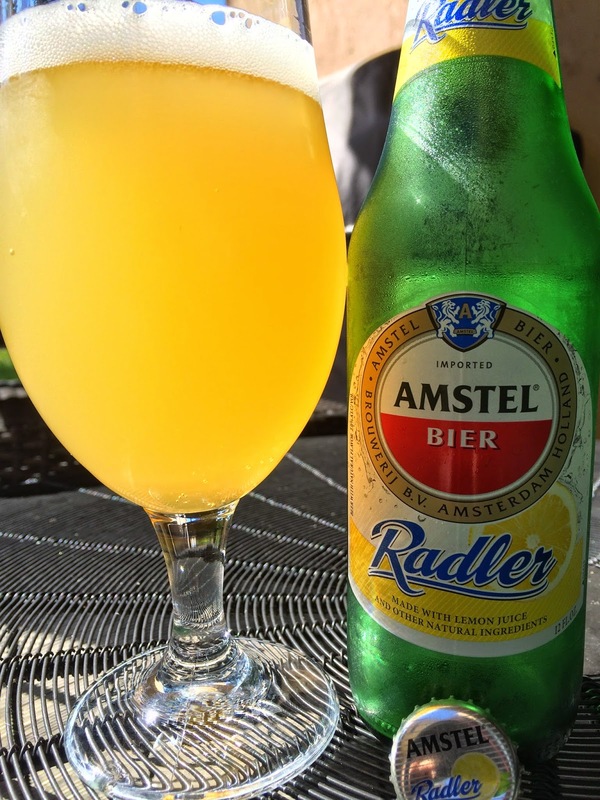 Today I decided to try the "Double Refreshing Taste of Beer and Lemon" from a green bottle of Amstel Radler. Ed Roberts thought this 2.0% alcohol beverage was right up my alley! Sweet-tart lemon candy type aroma with some grain in the background. Tart lemon flavors came through first as well, though nowhere near puckering. Enough grain that you know this is beer and lemon juice. Sweet and tart nicely balanced. Very refreshing and a definite winner, though not exactly a beer drinker's dream drink.